Amore Beds hybrid mattress is a well designed and crafted bed. It uses premium layers of comfort foams and coil system to create an amazing feeling bed. This 12″ thick mattress has three comfort layers of quality foams. As well as a 4″ thick coil system on top of another layer of base foam. Creating a one of a kind and ideal feel for all sleepers using the best of both foam mattresses and coil mattresses for an unforgettable experience. Save BIG On Your New Amore Hybrid Mattress HERE! The Amore Beds hybrid mattress is ideal for couples. This mattress has three firmness options that can be chosen on each side for the perfect feel. You have the choice of soft, medium and firm as well as the option to have dual sided comfort. Meaning you can have your side firm while your partner can choose soft. It’s a great hybrid mattress for side sleepers and those who also love their sleeping experiences on softer surfaces. The choices keep coming when you get to the cover. The standard Amore Beds cover is a soft, organic cotton fabric. However, it can be upgraded to a Copper ion-infused cover. Copper is beneficial for many reasons. One of the main reasons being it’s antibacterial properties that will keep your mattress cleaner longer, allowing you to also take advantage of the health benefits too! This hybrid mattress is sturdy as well as cool and comfortable and won’t disappoint. 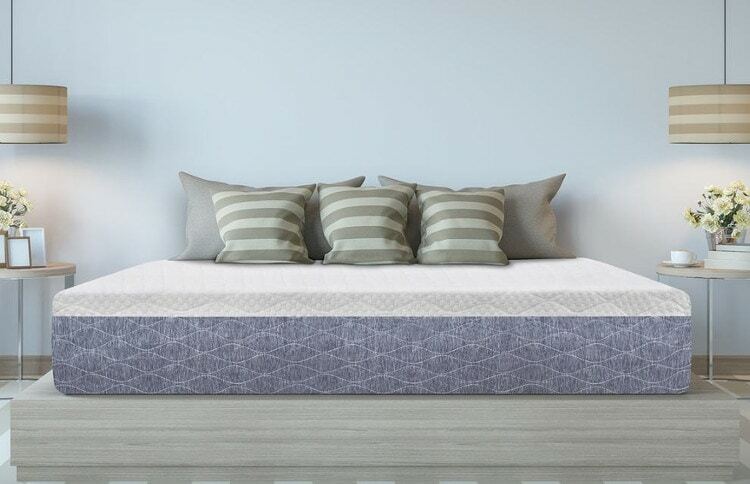 If you like a quality mattress at a great price with perfectly matched comfort and durable, solid materials look no further than this sleep product from the Amore Beds Company. And appropriately enough “amore” is Italian for love and this mattress will surely allow you to fall in love… with your new mattress and sleeping. Amore Beds has grown from offering one mattress to now offering three to choose from. With a focus on choice and allowing sleepers to find the best mattress to fit their needs. The Amore Beds hybrid is the original mattress from this company and offers a great feel for a great price. And all the options you can choose make it a mattress every sleeper will appreciate for its incredible sleep surface. This mattress also comes with a 20 year warranty. This kind of warranty is a rare offering from most mattress companies. It really shows the dedication and quality behind this hybrid sleep mattress. It also allows you to try this American made bed for 100 nights to make sure it is a perfect fit. This comfortable and supportive mattress is not just a bed, but an amazing sleeping experience you can recreate night after night. 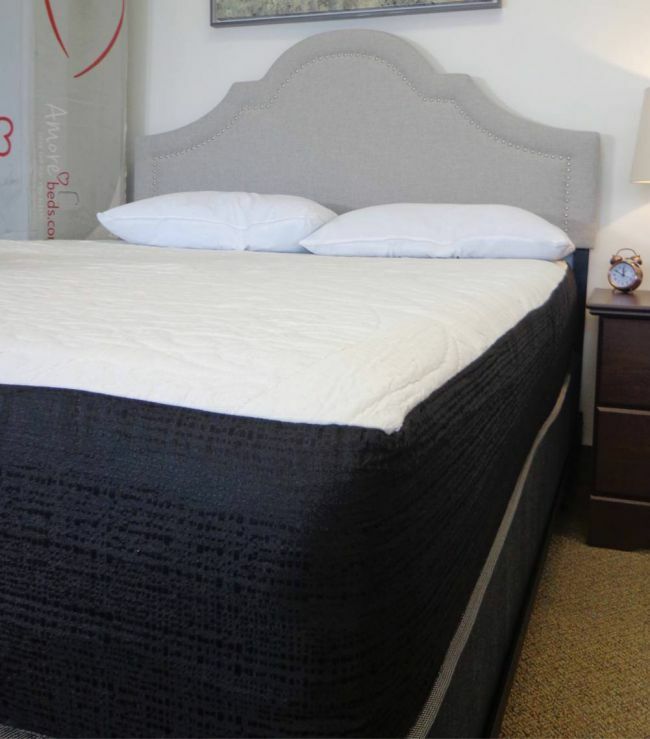 Below we have our comprehensive and detailed Amore beds hybrid mattress review. We will go through how it performs for off gassing, comfort, motion transfer, sleeping cool and edge support. As well as value, materials and construction, trial and warranty. Make sure to go to amorebeds.com to learn more about this mattress too. Your new Amore Beds hybrid mattress will be shipped for free. After ordering your mattress is made. Then compressed and roll packed ready to arrive within just a few business days. The very first you’ll need to do with the Amore mattress is take it out of the box and get it set up. It will show up right at your door in a fairly compact but heavy 85 lb box. Getting it to your bedroom is probably best with two sets of hands, since it is a little awkward to handle on your own. Once you get it to where you’ll be sleeping it should only take a few minutes to get it out of the box and take it out of the plastic and watch it come to life. We noticed that the Amore bed was able to mostly expand in just a few hours and was ready to sleep on in no time. However, it does take a good 24+ hours for the foams to fully firm up. So just keep that in mind. See how easy the unboxing process is in our video below! During the unboxing process you may notice a bit of off gassing but it should be very minimal, especially since it is made in the USA too. With most boxed mattresses there will be a little bit of “new mattress” smell initially. Once it is allowed to unroll and take shape it should dissipate. It should be fine within a few hours but if you are more sensitive to certain smells letting it breath up to 12 to 24 hours would probably be a good idea. When we unboxed our Amore mattress we didn’t notice any strong fumes and very minimal off gassing. Being made in the states, as well as made to order, definitely helps with keeping off gassing to a minimum. However, to speed up this process having a window open certainly does help quickly eliminate any odors. 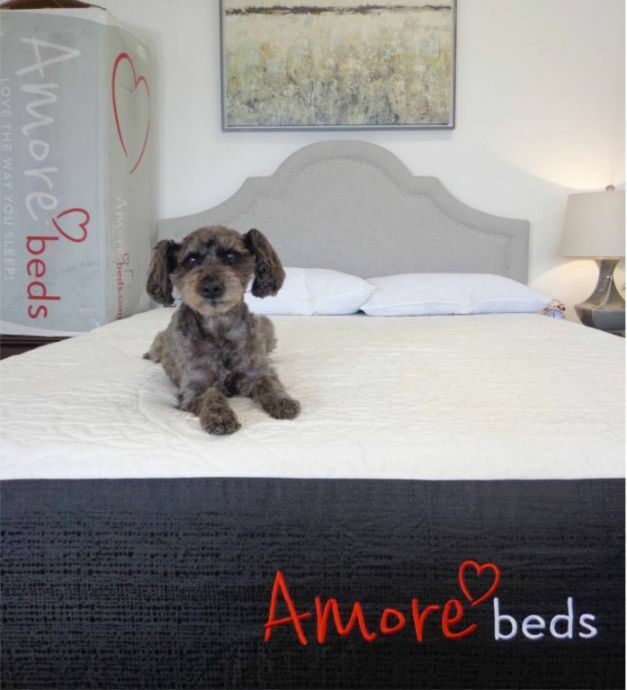 Amore’s comfort options are unique and perfect for anyone who shares a bed because it has the option of dual sided comfort. This means that each side can be specified to be one of the three different comfort options that they offer. Your entire mattress can be soft, medium or firm or each half can have a different firmness. From these options the medium is the most popular and provides a great combination of support and cushion. On a firmness scale of 1-10 this option falls around a 5, 1 being the softest and 10 being the firmest. This option would work great for back, stomach and side sleepers and is going to be best for people who like a supportive feel but with still a little extra softness. The soft option is going to be the softest option and this will work best for someone who likes a plush mattress that conforms to them more and someone who mostly sleeps on their side. This option will be around a 2.5 to 3 on the firmness scale. The firm option is going to appeal to people who like to not sink in to the mattress and more than likely sleep on their stomachs and sometimes back. This option will fall around a 8 to 8.5 on the firmness scale. It will also work great for the heavier person who needs more support too. This mattress is 12″ thick and has a very solid core of coils and base foam, as well as ample layers of comfort. Regardless of which feel you choose, you will have a durable, supportive foundation. Having these three options really allows for you to choose what will work best for you and be most comfortable. We tried the Amore bed in the medium option on both sides and didn’t get dual sided comfort because both of us prefer a medium to medium-firm feel. We felt that this mattress was a true medium feel. You could feel the support of the base and coils but also plenty of sink and hug from the top three layers of foam. It was great for pressure relief and really worked nice for side and back sleeping. If you are predominately stomach sleeping the firm would probably be a better choice. Overall, the Amore mattress was comfortable and everything we expected it to be. Save BIG On Your New Amore Beds Mattress HERE! This mattress should have very little motion transfer. Naturally a coil mattress may have more of a spring to it, however, the coils in this bed are individually wrapped and this alone greatly reduce and soften any movement felt. Also, the Amore’s top layers of foam dramatically cut down and absorb any vibrations. The motion transfer of this mattress is very minimal and general movements and shifting should be hardly noticeable, especially if you are sharing a mattress. 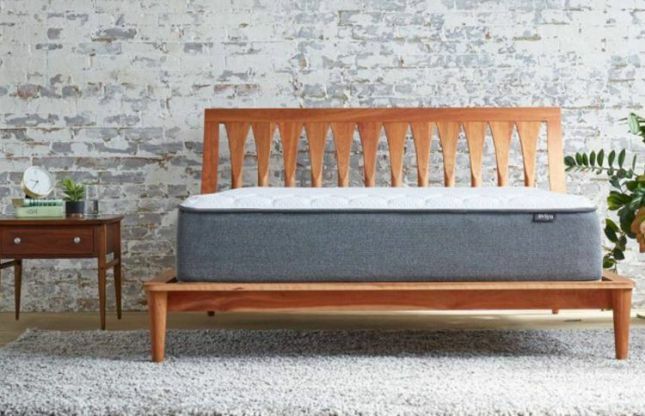 If you are a light sleeper or share your bed with someone who has a different sleep schedule this mattress would be a great choice if motion transfer is any concern. Like any hybrid or innerspring mattress retaining heat is much less of a concern on this type of bed than an all foam mattress. The coil system alone helps rid and dissipate any heat build up. The natural air flow will not trap heat like a foam bed that has no place for the warmth to go. The Amore mattress also utilizes a top layer of graphite infused memory foam. This modernized memory foam is not only able to be comfortable but also utilize the cooling properties of graphite. It also has an organic cotton cover that is breathable and soft as well as hypoallergenic. You can also upgrade your mattress to include the copper ion-infused cover that is cool to the touch and wicks away moisture for an even cooler feeling bed. This mattress also comes in three firmness options and if you are a warmer sleeper the firm will help your body stay more on top of the bed instead of sinking in. This helps reduce overheating by keeping more of your body out of the mattress. Overall, the Amore mattress has several qualities that keep it cool through out the night and warm sleepers shouldn’t be overly concerned. We found the edge support on the Amore Beds hybrid mattress to feel stable and creates a solid, edge to edge usable sleep surface. The pocketed coils and base foam provide the necessary support to give the entire mattress a solid foundation. The foam encasement around the perimeter really helps keep the coils in place as well as create a consistent feel across the entire top. As far as sitting on the edge goes, there is a little less support, but more than the majority of online bed in a box mattresses and minimal use sitting on the edges should be fine. This mattress comes in at $925 for a queen size and that includes free delivery, a 100 night sleep trial and a 20 year warranty. For the quality and comfort of this mattress we find this price point to be a great value. It checked the boxes that make for a great hybrid mattress and good night sleep. The focus on design as well as giving lots of options to make this mattress perfect for you make it top notch. The value of this mattress gets even better when you can save additional money. Currently you can SAVE BIG just by heading over to AmoreBeds.com! 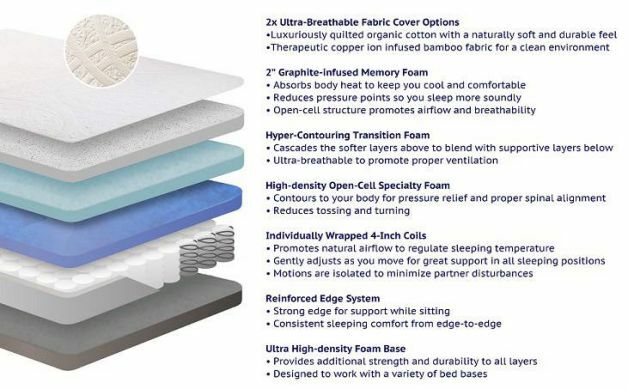 The Amore Mattress is a 12″ thick 5 layer hybrid mattress. This personalized bed starts with a 2″ top layer of 3lb Graphite-Infused Memory Foam. This foam is ideal for pressure relief and the open cell structure also helps promote airflow and the graphite helps absorb body heat. Under the top layer is 2″ of 1.8lb Transition Poly Foam. This layer helps blend the feeling of the softer top layer with the more supportive layers below. It also is breathable to promote ventilation. Next is 2″ of 1.8lb density Open-Cell Specialty Poly Foam. This foam layer contours to your body while providing deep comfort and proper spinal alignment. It also helps with relieving pressure as well as reduces tossing and turning. **To note, the materials of the soft, medium & firm options are all the same with the exception of the softness/firmness of the foams. The ILD (Indentation Load Deflection) is 22 for the Soft, 28 for the Medium and 35 for the Firm. Next is the coil system. This coil system is 4″ thick and consists of 885 individually wrapped 14.5 gauge steel coils in a queen size. This provides a great core for support that easily moves with you while changing sleeping positions. The coils are also great for allowing heat to dissipate and air to flow for a regulated sleeping temperature. The coils are surrounded by a reinforced foam encasement that helps keep the coils in place as well as give a consistent feel from edge to edge. The last layer of this thick hybrid is 2″ of 1.8lb Ultra-High Density Base Foam. This last layer provides additional strength and durability and creates a nice flat, stable platform for the rest of the mattress to sit on. This also helps the mattress adjust to a variety of foundations too. 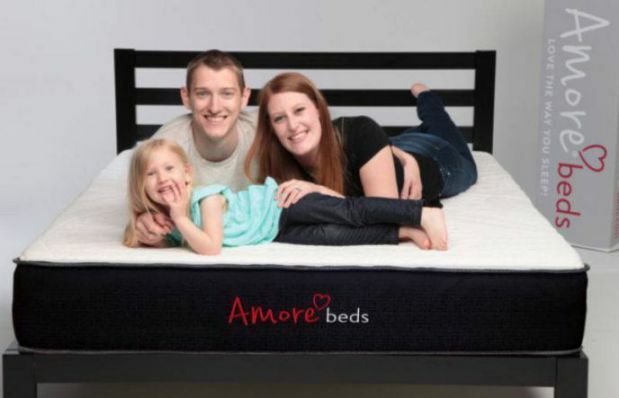 Lastly is the cover of the Amore beds mattress. The original cover is an organic cotton that is soft, durable as well as breathable. You can also upgrade to a copper ion infused bamboo fabric cover. This helps you stay cool as well as clean with its natural anti-bacterial and moisture wicking properties. This mattress has a 100 night sleep trial period. This is the online mattress industry average and what is typical offered. This trial period allows for a sufficient amount of time to see if this mattress is a good fit for you and also has a very easy return process if it isn’t. The Amore mattress comes with a 20 year warranty as well. This warranty is about twice as long as the industry standard warranty of 10 years. This shows that Amore stands behind the quality and durability of their mattress and willing to go the extra mile to take care of their customers. If you are looking for more specifics for the Amore Beds trial period and warranty find out more at Amore Beds website. Or for a helpful tool check out Our Mattress Warranty & Trial Period Guide. If you want a hybrid mattress that has plenty of options and an ideal choice for couples, look no further than the Amore Beds hybrid mattress. This coil and foam combo bed is a great compromise that gives you both exactly what you want. Buy Your Amore Beds Hybrid Mattress Here LATEST COUPON! If want a dual sided mattress that you and your partner can choose your support and firmness options for ideal comfort. You would like a thick, well made with great materials hybrid mattress at an amazingly affordable price. You want a durable mattress that even has a 20 year warranty and a company that is very proud to back it. Still looking for some more information? 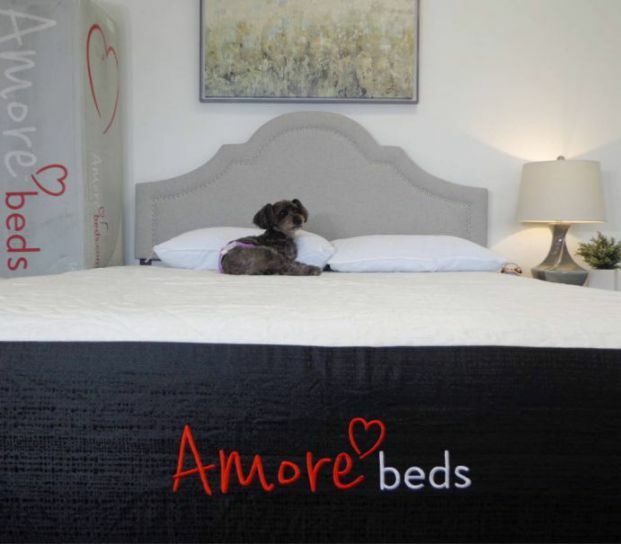 Visit Amore Beds at amorebeds.com. Also, have questions for us? Please contact us and we would be happy to help you! CLICK HERE and Save Big with the latest Amore Beds Coupon!